How do we create new prospects for disadvantaged young people? How do we combat youth unemployment locally? And how can initiatives from all over Europe successfully plan and implement EU projects together making a positive impact on institutions and programmes? The third meeting of the European network of StartNet addressed these issues. 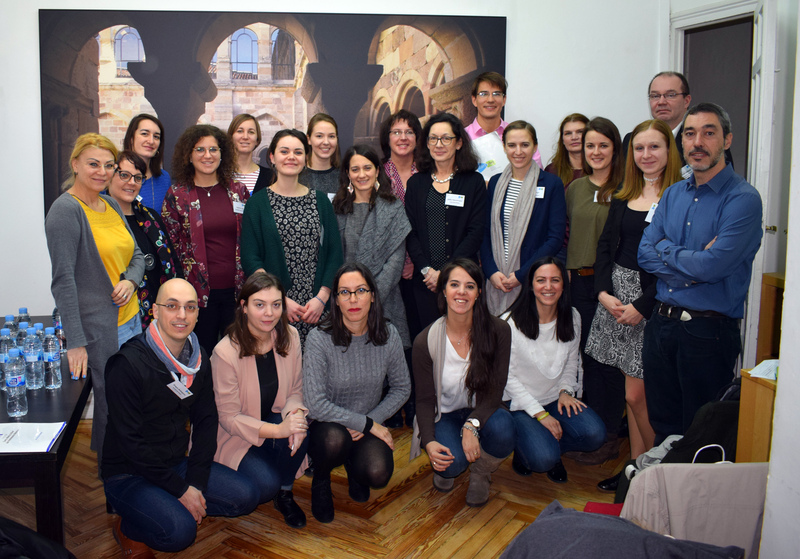 Exchanging experiences, learning from one another and acting together to create prospects for young people – those were the objectives at the third European network meeting of StartNet in Madrid with partner projects from all over Europe and the pilot network for the transition from school to work from Southern Italy. In addition to the pilot network from Southern Italy, which is coordinated from the Goethe-Institut in Rome, partner projects from Germany, Finland, France, Italy, Austria, Romania and Slovakia also came to visit the Spanish partners ‘Lanzaderas de Empleo’ and ‘Fundaciòn Gitanos’ in Madrid. The latter support the inclusion of young Roma people into the labour market. In Spain, 76% of Roma families live below the poverty threshold and 64% of young people do not obtain school-leaving qualifications. ‘Lanzaderas de Empleo’ works with many young job-seekers who receive support in groups with the help of a coach and are prepared for entering the job market. The group work promotes exchange between job-seekers and helps them to overcome isolation. The StartNet project draws on the experience and network of the Goethe-Institut in the fields of education and employment, such as “Mit Deutsch in den Beruf” and cooperates – outside of German language teaching – with partners from institutions, civil society and the world of work in Germany and throughout Europe. The StartNet meeting in Madrid has generated lots of optimism. There are many projects, such as StartNet and its European partners, that provide young people with thorough preparation for the labour market and the world of the future through cooperation with key players (schools, companies, civil society, parents and the young people themselves) through coaching, professional training, guidance, internships etc. “with their creativity and cooperation, young people offer an opportunity to imagine a better world,” concludes Chloé from ‘Apprentis d'Auteuil’ in France.